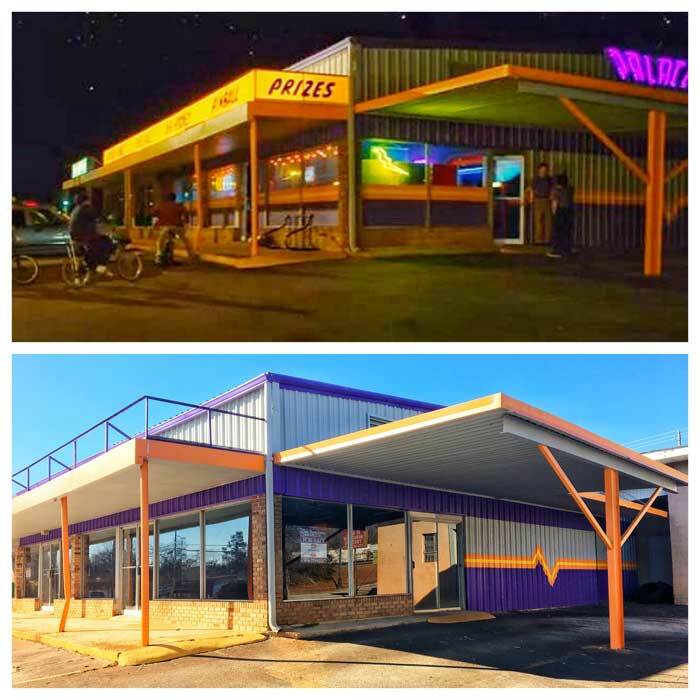 I love to tour filming locations and have found some incredible places in Georgia where the towns have completely embraced the fandoms. Here’s what you need to know to plan a fantastic trip to see where your favorite TV show was filmed. The Walking Dead is filmed largely in Senoia, Georgia. The main street of town was the setting for “Woodbury” and the “Alexandria Safe Zone” is just down the road. Senoia is an absolutely lovely town that has become synonymous with The Walking Dead and offers tours, gift shops, a museum, a photo studio, The Walking Dead Cafe, and The Woodbury Coffee House. There’s also Nic & Norman’s – a restaurant owned by Director and Makeup Effects Creator Greg Nicotero and Norman Reedus, who plays Daryl Dixon. On any given weekend, you can stroll through town and see cosplayers who are often happy to take a photo with you. Don’t worry – these zombies are harmless! 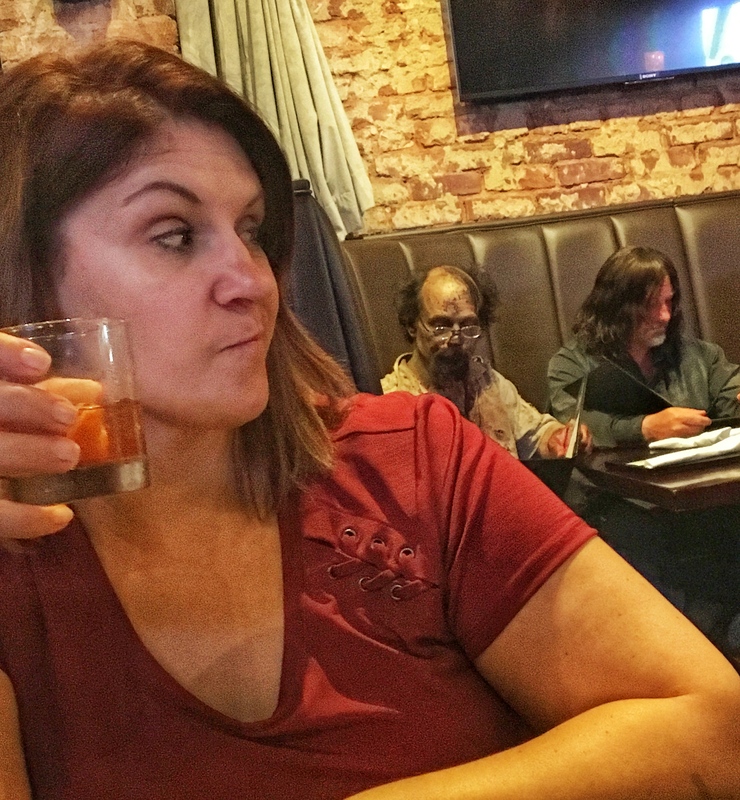 You’re likely to find a few zombies and a Daryl Dixon look-alike when you dine at Nic & Norman’s in Senoia, GA.
To plan your visit to Senoia, check out: The Walking Dead Comes to Life in Senoia, GA. Filming for the Netflix original series Stranger Things doesn’t take place in Hawkins, Indiana. It’s filmed all around the Atlanta area. You can see Hawkins School, Hawkins Lab, the arcade, the police station, and more if you know where to look. Finding these locations takes some effort, though. There isn’t one main town, and the filming locations are spread out quite a bit. My daughter and I did tons of research and put together a Stranger Things filming locations itinerary you can follow. Covington, GA is the setting for the fictional town of Mystic Falls, VA where The Vampire Diaries takes place. Spin-off show The Originals was also filmed partially in Covington, as is the newest series in the saga, Legacies, which comes out in October 2018. Mystic Falls Tours offers several excellent tours of the area’s filming locations. Don’t miss their gift shop or the “Hollywood of the South Museum” right in downtown Covington. And of course you’ll want to eat at the Mystic Grill! To find out more about visiting Covington and Vampire Diaries filming locations, read my post on planning a visit to Mystic Falls. Georgia definitely has it going on when it comes to TV and movie filming. If you’re a fan of any of these shows, I recommend taking a road trip or a tour to see the filming locations for yourself.